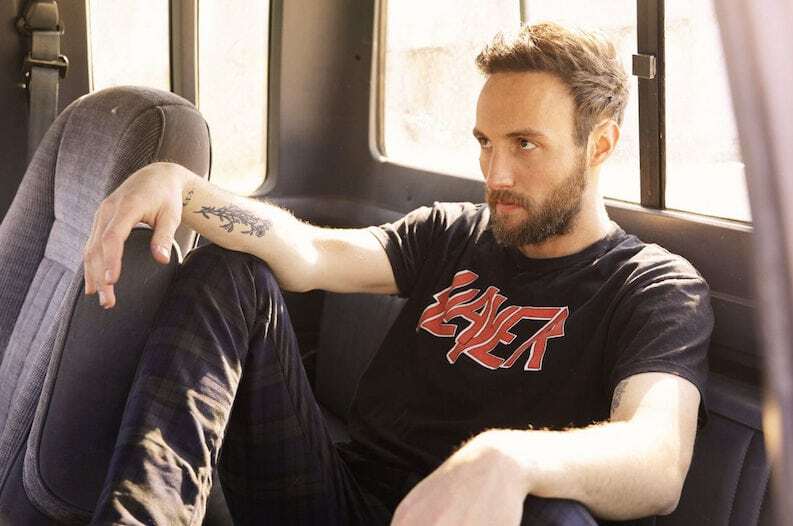 Ruston Kelly is one of the best artists in music in general at the moment. 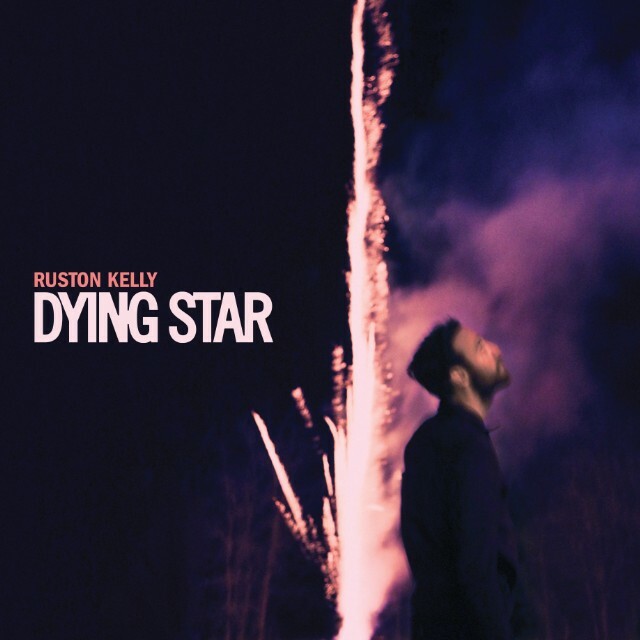 His debut album Dying Star has had endless amounts of praise across all genre outlets, fans and artists and his lyrics are incredibly deep, meaningful and relatable. 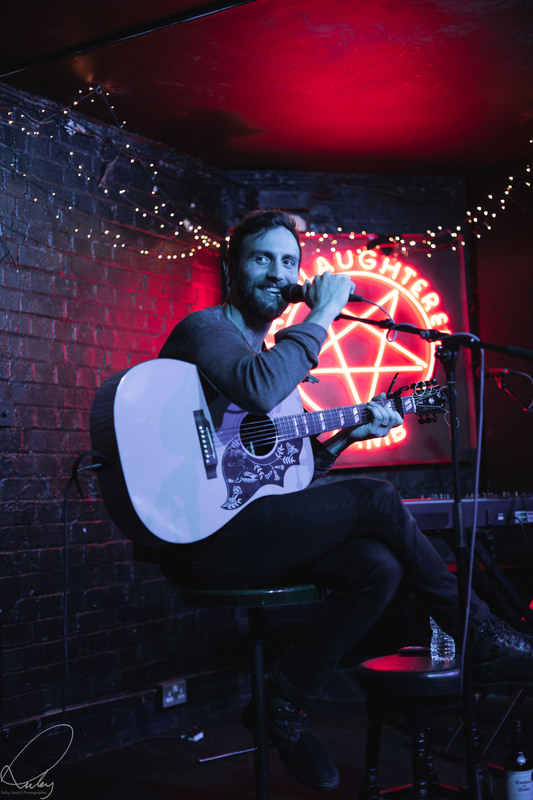 Ruston returned to the UK last year to support The Wandering Hearts after his first headline show at Slaughtered Lamb just months before. To have an artist of his calibre support a fantastic group such as The Wandering Hearts was a really special treat. Like The Wandering Hearts, Ruston cannot really be tagged to a specific genre as has elements of Country, Americana, Folk and beyond. We caught up with Ruston mid tour and had such a great conversation that goes down as one of our favourite interviews ever. Ruston was friendly, funny and very interesting. Hi Ruston – How are you? Have you enjoyed the UK tour? I love coming over to the UK, been having a great time. What’s it like being on the road with The Wandering Hearts and Fiona Bevan? Its been great, they are all really great people, really nice people, class acts you know? It is so good to share the stage with them and to have nothing but great things to say about someone you are supporting, it is better than hating who you are supporting haha. How have their audiences been? They have been great. Last night (Bath) was kind of chatty. I had to let them know that I wanted them to shut up and they did, for the most part. They have been great though, they seem to be a listening audience and really want to hear the songs and experience the songs and it felt like a songwriter sort of vibe. Haha yeah sometimes you have just got to. I do it in a way that I know I will get a response from the people listening. It is really just the best way to remind someone that they are at a show. Congratulations on the success of Dying Star – I keep seeing raving reports every day and so much support from other artists. How does it feel to have that level of support from other artists as well as fans, industry and media? It’s pretty cool. I didn’t really know what to expect from properly releasing a record. Having such a wonderful team behind it and believing in it all, that seemed to come pretty quickly once we released it. I would say I am honoured by the responses, especially from people that I respect. We are excited on this end. You co- produced the album with Jarrad K – tell us about working with him and why you work so well together; what was your vision and his and were you always on the same page? We were totally in line. I have never really felt like that, it was like we were thinking on the exact same wave length. It was really important to me on the start of this project to co-produce it because I knew what I needed it to sound like. As soon as I knew I was going to make a record called Dying Star, the sound of it came in my head and it was hard for me to explain and because I knew what it sounded like, I knew he was the guy to kind of navigate that sonically and achieve it and he did. Let’s talk about some of the songs; Firstly I would like to ask about Just For The Record. This song is already loved amongst UK fans as of course Lucie Silvas recorded it for her album E.G.O . We adore your version too; How was it decided who would cut it first or did you always both intend to do it? That was just a timing thing. She recorded her record before I did so hers naturally came out first. I don’t ever think there is an issue when artists do that because it is actually a very traditional country thing to do. Back in the day everyone played everybody’s songs, you know what I mean? and it gets to a point of “wait, who originally wrote that song?” And you can’t remember as everyone cut it back in the day. As country fans, we love hearing all the versions from all the songwriters. Yeah why not? The more the merrier. Absolutely and that is why we love attending songwriters rounds. When you have scheduled songwriting sessions, does every song written, whether completed or not get logged and available to publishers to sift through? You’re supposed to haha. I don’t really log a song or write down the lyrics unless I love it. When it comes to writing it with someone else or if it is a song that I love so much, I don’t need to write it down because I wrote it so I remember it. Just For The Record was that way – I loved it so much I didn’t even write it down. Yeah, it has always been way, I remember the lyrics to the first song that I wrote and pretty much every song I ever wrote or cared about. When you write a song, how long is it till you cut a demo? Usually its that same day. Especially if you are writing and turning it in and want to log your songs, it is easier. If you are writing with someone in the studio, a lot of the times they will be doing the demo while you are writing the song or sometimes the start of the demo like the beat or the guitar can be laid down and it can actually help inspire the second verse if you haven’t got it yet. Please tell us a bit more about writing with Natalie Hemby and Joy Williams on Jericho because I always hear how fun Natalie is to write with. Oh Natalie is one of my favourite people to write with ever. That was the first time that we had actually written together. That song was really special and was one of the songs that was special regardless if it was going to get cut or not. I feel like we did our souls a favour by writing that song, it was a really powerful and beautiful day. We actually wrote a contract up, I still have it, it’s on a piece of paper between me and Natalie stating that we are hereby eternal brother and sister and then I signed it and she signed it. Joy of course is nothing but a joy, she is a fantastic writer. She is a good friend of mine, I actually spoke to her the other day. You have been quite vocal recently about women in country music and the lack of air play they get on the radio. As someone who lives in the UK and doesn’t really have country radio, just how bad is the situation as I remember you saying it was hours until just one woman was played. It was, it was just hours and hours and I find that like almost repulsive, mainly because how many times do you need to hear a male perspective on a Saturday night? There is nothing wrong with having party songs, in fact Florida Georgia Line are one of my favourite country groups because I feel that they really are that (party group) those two guys are those people. But when it is just repeated and redundant and creatively sterile because of that “it’s just meant to be a friendly radio unit shifter” then we are missing out on it and it just so happens that through that it seems to predominantly be male songs. It’s not like a girl can’t sing an equally boring song but the women that I have heard that aren’t getting played, my wife aside, I feel like it is a travesty to the creative culture of Nashville to have a lack of female voice and artistry especially on the radio. I agree. Maren Morris the other day said to us as an audience at her show that a radio guy told her not to release I Could Use A Love Song as a single because no-one wants to listen to a sad song on the radio and I was like “ don’t insult our intelligence radio guy, we don’t just want to hear about trucks and beers”. I was watching a movie I love the other day called Pump Up The Volume about a pirate radio station where the guy played songs that the youth needed to hear and wanted to hear and spoke about truths and everyday battles and I think it is so important that more relatable songs get heard, more honest lyrics so people can identify with it and not feel so alone. Yeah, Country music has always been a genre to me that kept it real. It kept it real, it kept it true, it kept it simply put, straightforward. We are not only abandoning the traditions of it sonically and musically, instrumentally but we don’t need to completely abandon it lyrically too. The whole situation though just makes Kacey’s CMA win all the more important and not just for her but for women in country, for fans, for everyone who cares so passionately. Oh my god yes. It is so much more important and an even brighter victory. All the way from here in the UK, I am pretty sure I could hear all of Nashville cheer. A lot of Kacey’s, like many female artists have a large percentage of women in their audience so the statement is flawed. What song of yours do family and friends seem to say they enjoy the most? It’s different; for my immediate family; Dying Star probably. There is a tenancy when you are living the life you shouldn’t be living to want to hide it from the people that care about you the most. I tried that for a while but I then couldn’t because I love my family despite my own mistakes and I felt like the only way out of it was to bring it out in the open you know? So for the past few years I have struggled but they were there with me and it took some pain, it took some frustration and some starts and stops and starts and stops. Dying Star has my dad playing on that, he played on the whole record but someone said to me, which I found very moving and since steel is such an important part of the record, they said “it’s almost like my dad has a narrative of his own”. Did Ice skating come naturally to you? It is something that has always terrified me and as a child I always clung on to the side and now have an irrational fear of it. Hahaha. Yep, I don’t know why but Ice skating came extremely natural to me and I just got really good at it. Honestly, because you skated to music, that was an interesting place to discover how profoundly moved I was by music. It was the first time I felt intense joy from skating and moving my body, moving my spirit acrobatically, balletically to music, it was this spark of happiness and pleasure and music was the main part of that. Did you ever get injured by other skates? That’s another fear of mine. It can get pretty f***ing wild when you are on ice. You are skating sometimes 12, 15 miles an hour on little thin blades, jumping sometimes for 4ft. If you are going fast enough and get enough momentum, you can jump like 8ft long, 4ft high. I have got a couple of concussions. Anyone that disregards the toughness of that sport, needs to be educated on how dangerous and difficult it is. I have broken both my heels, I have broken an elbow, I have had a blade cut my leg. It is a pretty dangerous sport. Haha yeah and you don’t even wear any pads. She….erm…she can, I mean to an extent haha. I took her Ice skating on our first date. I hadn’t told her that I was pretty good at it haha. Haha, I bet that was a nice surprise for her? She was like; What? I was picking her up and putting her on my shoulders and stuff haha. I knew what I was doing haha. Haha that is impressive. Thank you so much for chatting today and cannot wait to see you back next year.